Cannabis and cannabis resin are classified as Class B drugs under Schedule 1 of the Misuse of Drugs (Bailiwick of Guernsey) Law, 1974. It is a criminal offence in the Bailiwick to possess, cultivate, supply or import cannabis. An Order can be made under the Law to authorise the cultivation of cannabis and associated activities for the manufacture of industrial hemp and any other product. 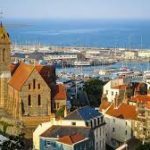 The Order also allows the licensed production and manufacture of products that can be legally marketed in Guernsey, and provide for the license to include a number of terms and conditions. States Analyst Validation if requested by Law Enforcement as per agreed fee table applicable at the time. Revocation:The license may be revoked if the operation does not continue to meet these terms and conditions. The license should be specific to a single legal entity, operating from a defined set of premises, producing an agreed range of products for distribution in agreed countries/jurisdictions. Changes in ownership/management:Changes in management/directors or ownership could also result in the license being revoked if the new parties cannot deliver a DBS check or other requirements which satisfy CfHSC. Security in the event of in/voluntary administration:There will be a requirement in the event of any licensed business entering into voluntary or involuntary administration or ceasing to trade for other reasons, that the agreed security processes must be maintained, or the crop will become forfeit and will be destroyed by the States of Guernsey (as changes in the security arrangements would be a breach of the license). License Periods:The licenses will be issued for a period of up to but not exceeding 12 months. Regulation and Enforcement Procedures: The Chief Pharmacist and any person authorised by the Chief Pharmacist will be empowered to enter and inspect any site licensed under this process, on production of his/her identification badge issued by HSC. He/she will also be empowered to review any documentation (electronic or hard copy) and to make any copies he/she believes are necessary for ensuring/enforcing compliance with the terms of the license. If medicinal forms /medicinal products are being produced the powers and authorities granted under the Medicines Law 2008 also will apply. Under the Misuse of Drugs (Modification) Order, 2018, HSC has provided an exemption for certain products from various prohibitions in law regarding the import, export, possession and supply of CBD products of a specified description. CBD (Cannabidiol)is one of the 150+ naturally occurring Phytocannabinoids found in certain strains of hemp and in all cannabis plant strains. The requirement regarding the percentage of cannabinol (or derivative) must be confirmed by either the States Analyst or by an accredited laboratory. This modification order, and the checks on importation carried out by the Guernsey Border Agency, ensures that the public can have confidence that CBD Oil products purchased in Guernsey meet the requirements of the Misuse of Drugs Law. It must be stressed that this exemptiondoes not extendto the commercial exportation of CBD products i.e. fulfillment, this requires HSC to grant a licence.